A main feature of this show is a series of figures each in a unique extreme pose indicative to baseball, showcasing the almost dance-like qualities of the sport. 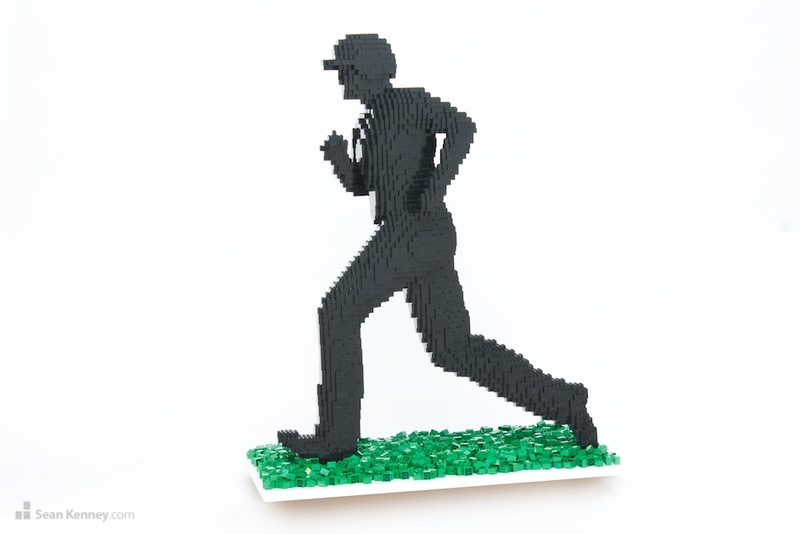 This figure is a runner, leaning into his turn as he rounds the bases. The sculpture is half-life size (about 3 feet tall).